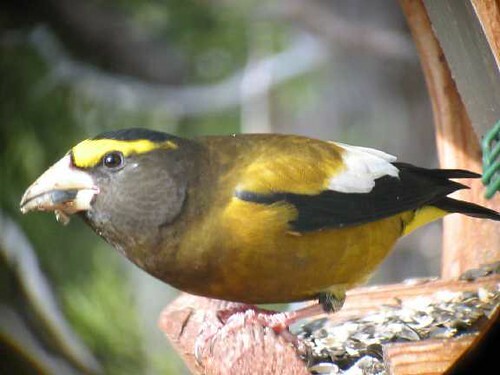 This Evening Grosbeak at my front yard feeder in New Mexico (February 2003) was one of my first digiscoped photos. It was taken from inside our living room window through a Kowa spotting scope with a little Canon PowerShot A40– only 2 megapixels! Today I’d be pleased to get such a shot with my ginormous DSLR, but am not expecting to see one in Florida!. 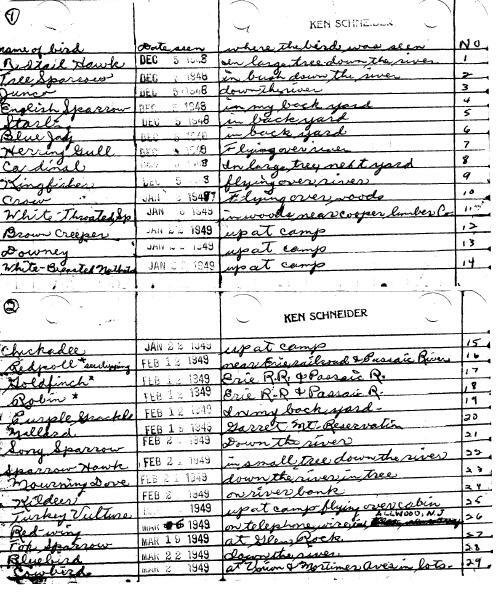 I still have my handwritten notes on my first sighting of Evening Grosbeaks on October 21, 1951, Life Bird #154, a flock of about a dozen at Garret Mountain, N.J. (reservation). They were gathered in a small leafless tree, a sight burned into my memory. In a boastful footnote I quoted Alan Cruickshank’s 1942 edition of “Birds Around New York City: Where and when to find them,” under Eastern Evening Grosbeak. 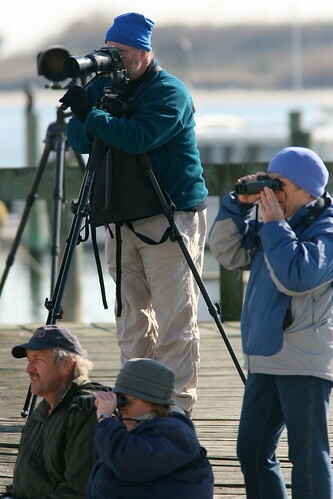 Actually there had been a large flight the previous winter, but none showed up near my home in Rutherford, and I was met with skepticism by the veterans when I reported my sighting to the Hackensack Bird Club at their next meeting in Odd Fellows Hall. 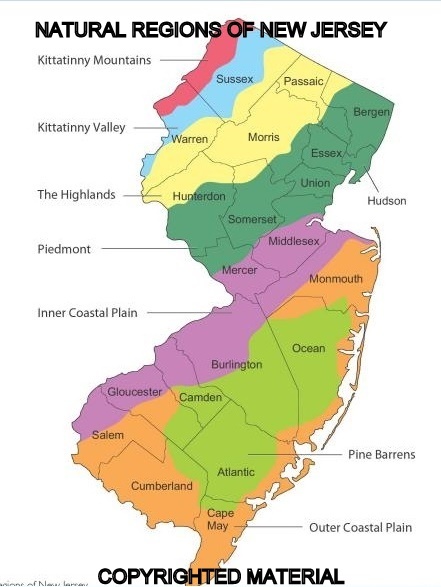 William J. Boyle wrote, in “The Birds of New Jersey” (2011) that there had been major flights since that time into the 1980’s. Only 9 individuals had been recorded in four CBCs since 1998. 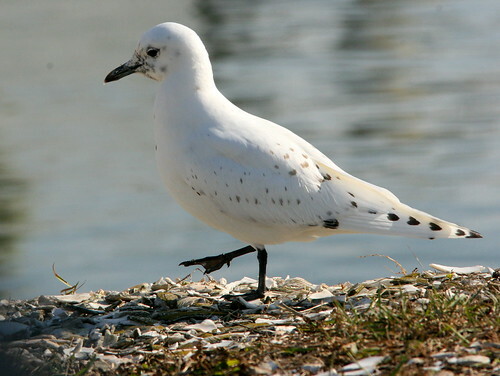 Late in November the New Jersey Rare Bird Alert reported the sudden appearance of an Ivory Gull in the harbor at Cape May, New Jersey, Only the size of a pigeon and and snow white, this little-known species rarely ventures from the Arctic ice pack, even in winter. I had no idea that I might have a chance to see it. 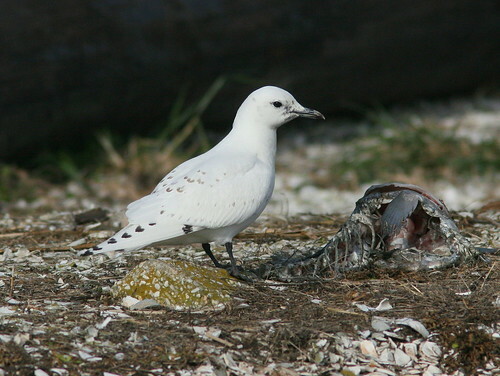 This was only the fifth Ivory Gull ever recorded in New Jersey, the last having been seen in 1986. 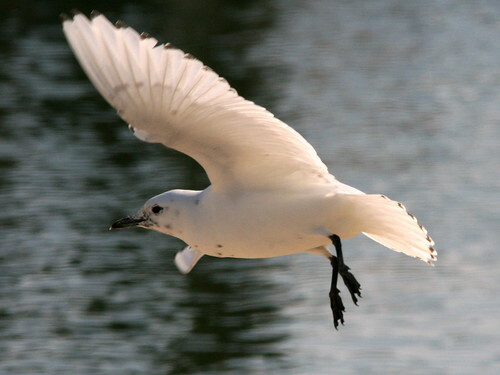 The Ivory Gull sighting was far from my mind when we received the sad news of the death, in upstate New York, of my late Dad’s younger brother, Father Dan Schneider (See: Saying Goodbye and A Postscript from Father Dan). We viewed the weather reports with apprehension, as a strong winter storm was just moving up the northeast coast. My brother, who lives on Great Bay near Atlantic City, New Jersey, talked us into flying into the Atlantic City Airport to stay with him and his wife, traveling to the funeral together. 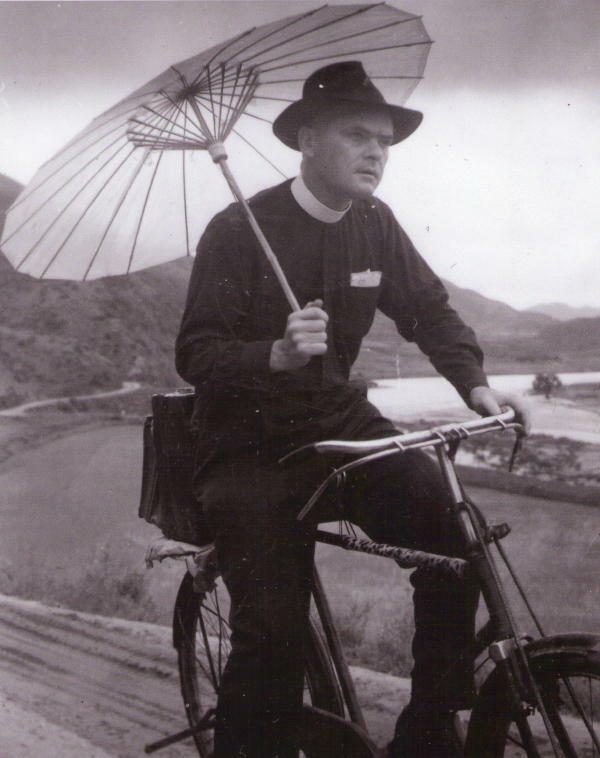 Funeral arrangements were uncertain, so we flew out on Monday, December 7. 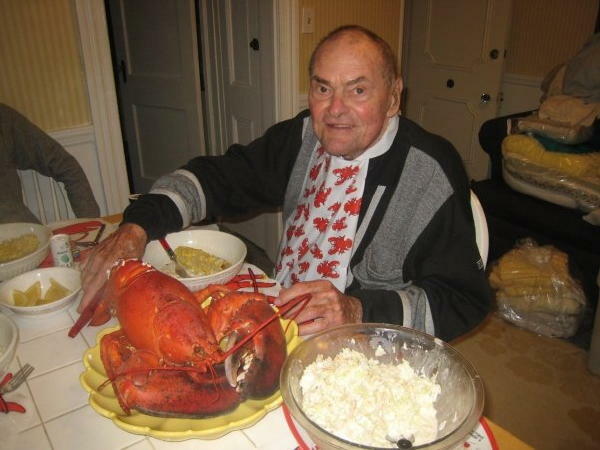 We later learned that the funeral would not take place until Friday. This left us with some leisure time. 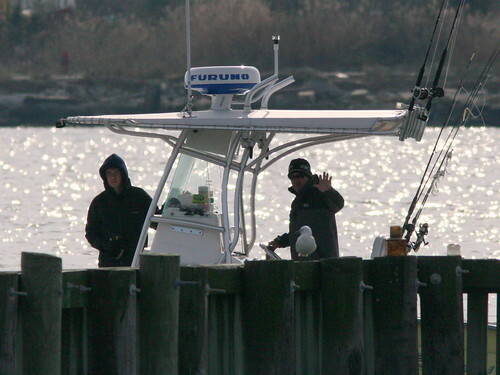 We were delighted when, the next morning, my brother offered to drive us down to Cape May to look for the gull. 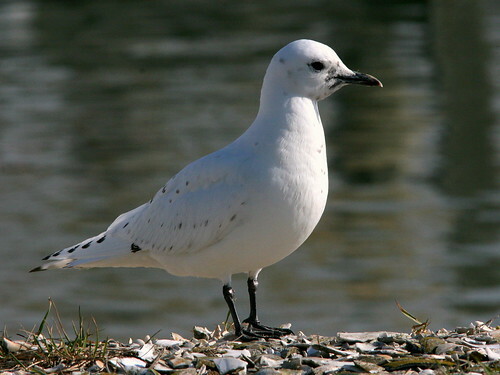 We did not know the gull’s exact location. 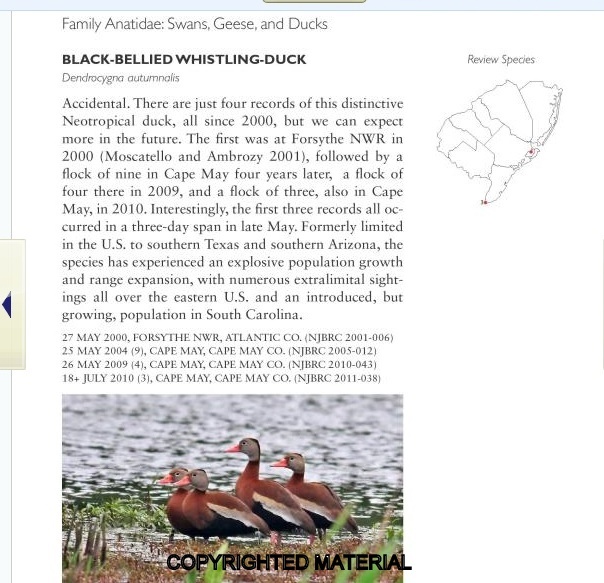 Unable to access the New Jersey RBA archives, I sent out a couple of frantic RFI’s to birders who had posted the most recent sighting reports. Luckily, two people replied almost instantly. 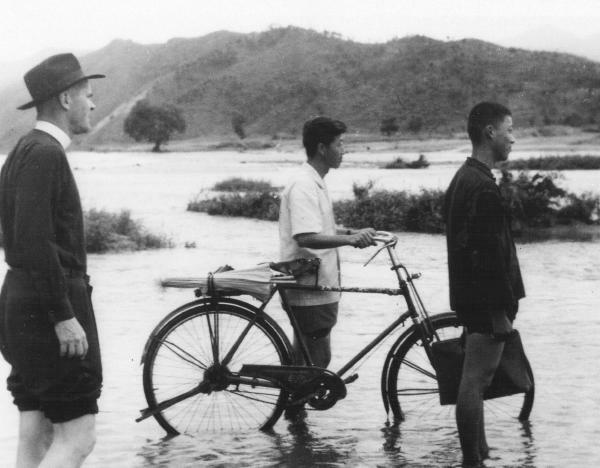 Without their detailed directions we never would have found the site. 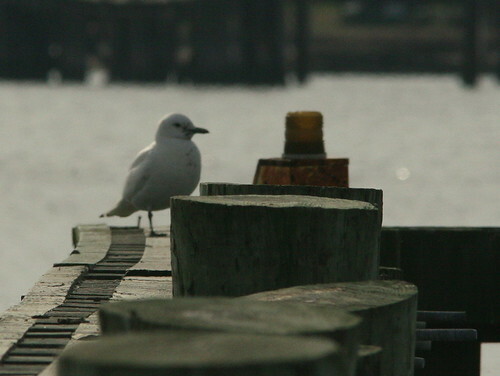 When we arrived at the Bree-Zee Lee Marina we were greeted by other birders who pointed out the gull, perched on a piling about 100 feet offshore, to the south. 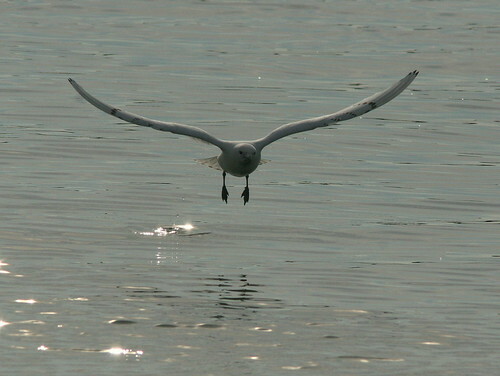 The sun, behind the bird, reflected harshly off the water, and our binocular views provided little more than a silhouette. Except for its small size, this was not enough to see any identifying characteristics. The number of watchers swelled to over a dozen. Kevin Karlson joined us, carrying a the remains of a large fish that his neighbor had given him. 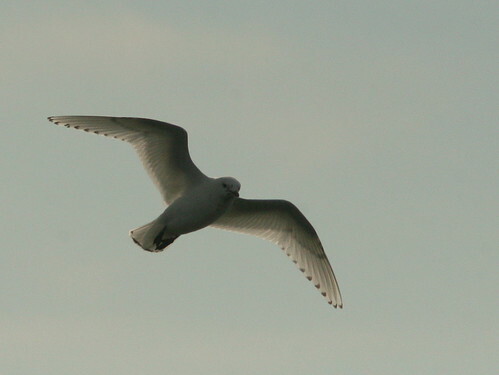 He placed it conveniently near our observation point, and assured us that the gull would soon fly in to eat. 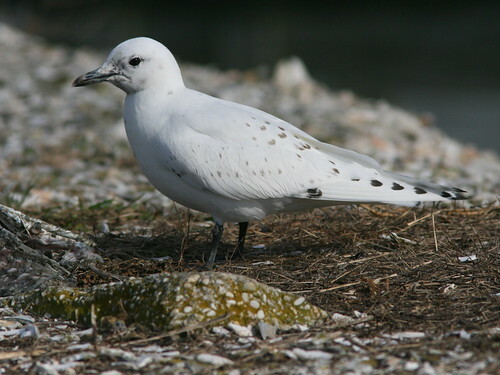 During a storm on December 11, only three days later, the Ivory Gull disappeared and has not been seen since.